For a while now I've been making these pretty fabric flowers out of old t-shirts. They are super easy so I couldn't resist sharing here. If you have an old shirt or any old piece of clothing that you don't mind cutting up,even jeans or old pair of slacks, give it a try.. I bet you will love it! You don't have to have a special creative talent to make these, anyone can do it. They are very simple to create! 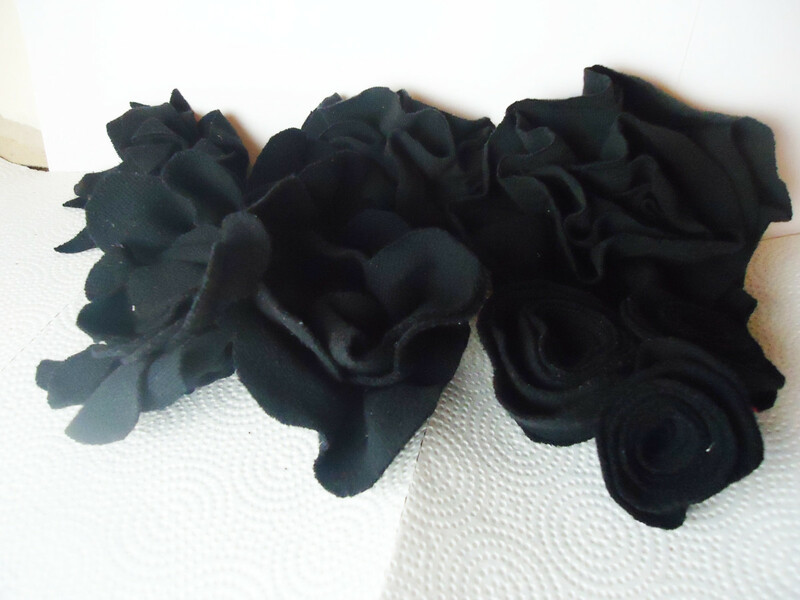 Make them into hair accessories- clips, headbands, barrettes, etc. Cover a wreath, make garland, embellish other home décor pieces and lots more! Plug in your glue gun and let it start heating up. 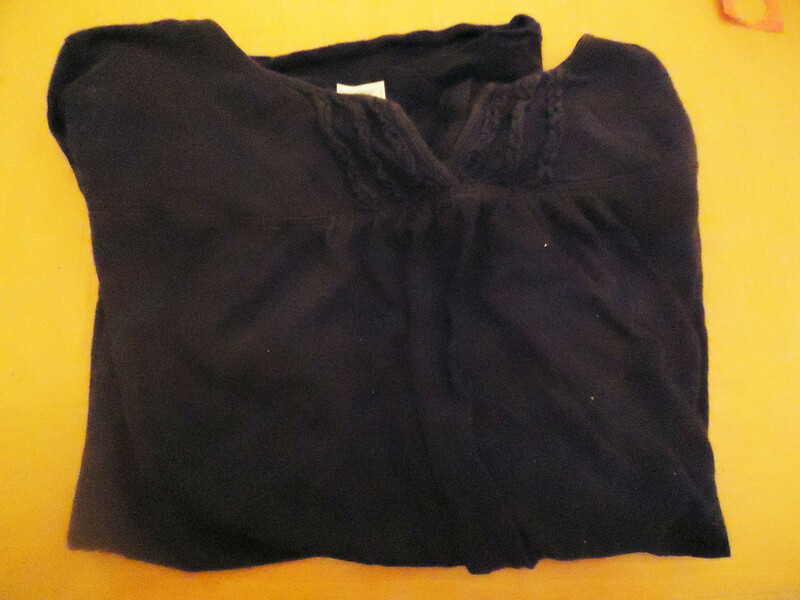 Cut a strip out of the t-shirt. I usually lay the shirt out nice and straight and starting at the bottom of the shirt, I cut the strip. Sometimes I cut right above the bottom seam and sometimes I include it in the strip and use it to make the flower. 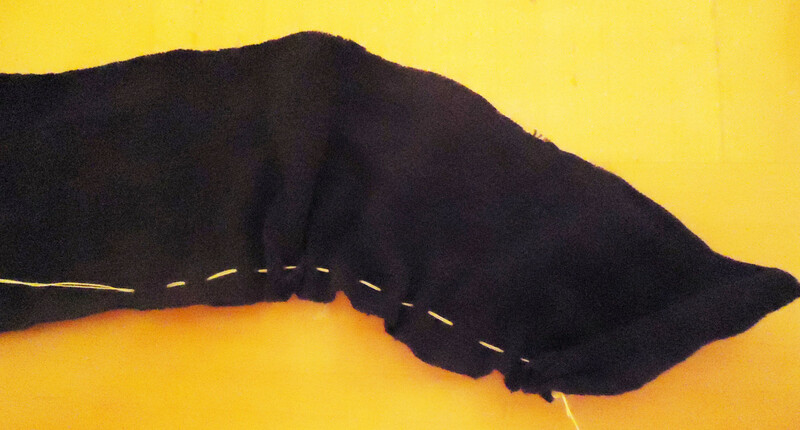 If you prefer not to use the seam, cut right above the seam and discard it, then cut your strip. I usually cut it about 1.5 to 2 inches wide and try to use the whole girth of the shirt, cutting off one of the side seams to create one long strip. 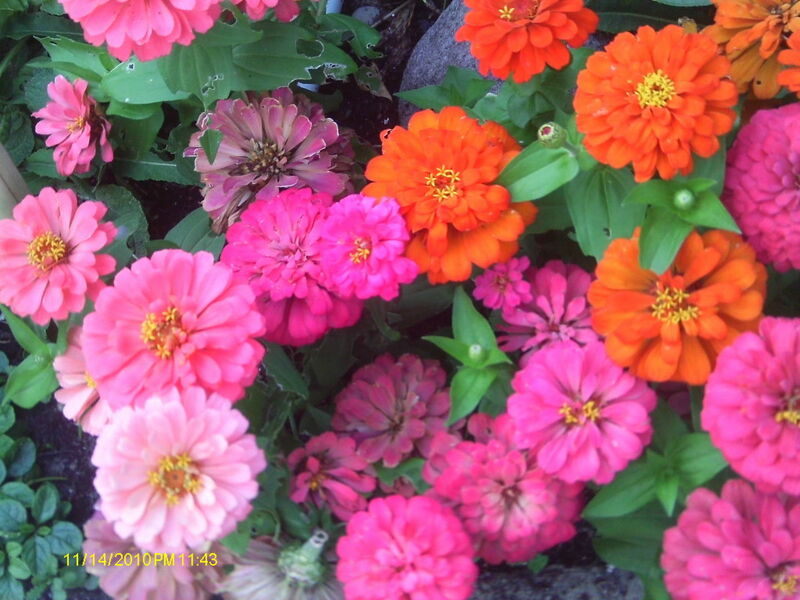 This creates a little bit fuller and larger finished flower. 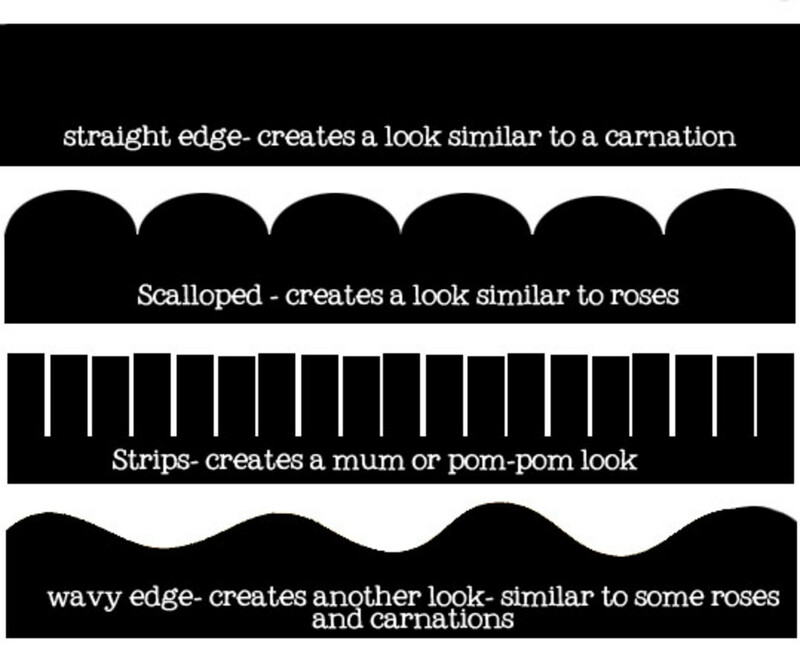 The width and length of the strip depends on what the finished flower looks like. You can experiment to find the look that you like. After you have cut the strip, make sure to smooth out any jagged edges.. at least on one edge of the strip. Thread your needle with a good bit of thread and take the t-shirt strip and make a running stitch all along one of the edges, staying as close to the edge as you can, gathering a bit as you go. Once you are at the end, cut your thread and knot it with a good, thick knot. 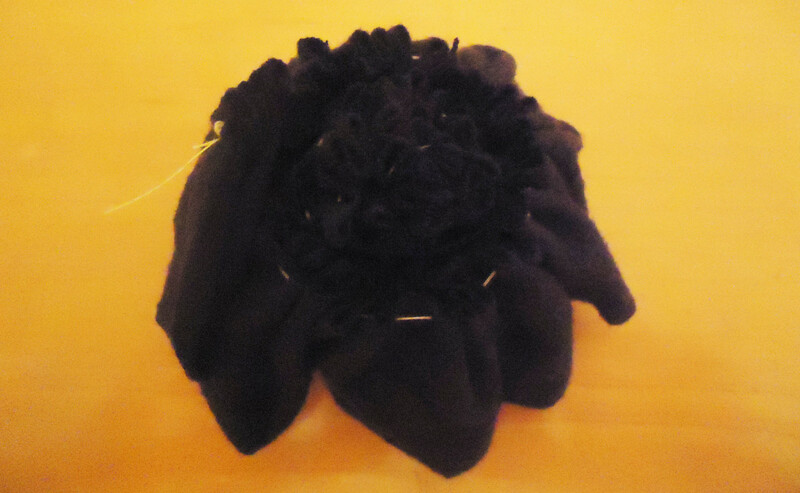 I usually knot it where I give myself a little bit of room to lengthen the ruffle if I need to. 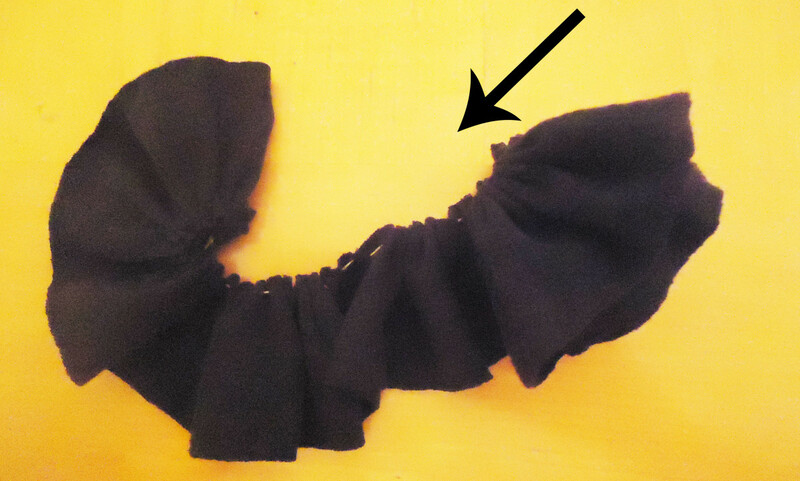 You can always go back and tie a new knot for a shorter ruffle if you need to. Gather your ruffle as tight or as loose as you want. Once you have it ruffled they way you like, it's time to roll it. Starting at one end of your ruffled strip, start rolling it up. Keep rolling, keeping the stitched bottom as level as you can. When you get to the end, it should be all rolled together evenly as possible, sort of like a cinnamon roll. You can roll it tight or roll it kind of loose... each way will produce a different look. 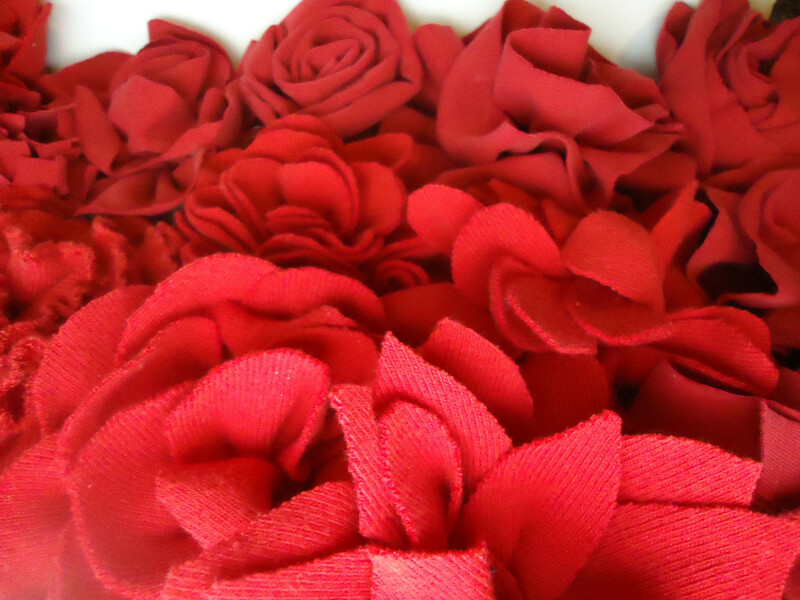 Once your flower is all rolled up, glue it onto a circle cut from the same fabric or a piece of felt. I prefer to swirl hot glue around on the back of the flower, just to make sure the whole area is covered and stick the circle on... but you can put the glue on the circle and stick the flower on if you want- as long as it's completely attached, that's all that matters.... and that's it!! 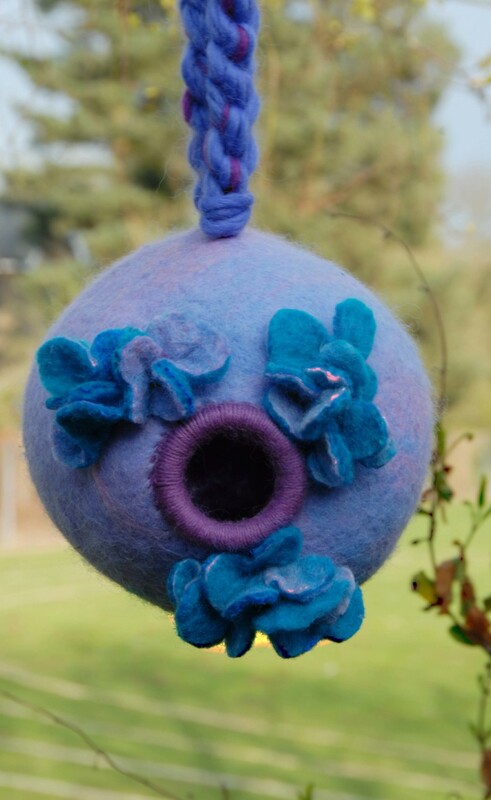 Turn it over, fluff it up and look at the pretty flower you just made! Glue a pin on the back, glue it to a headband, make a wreath, etc. 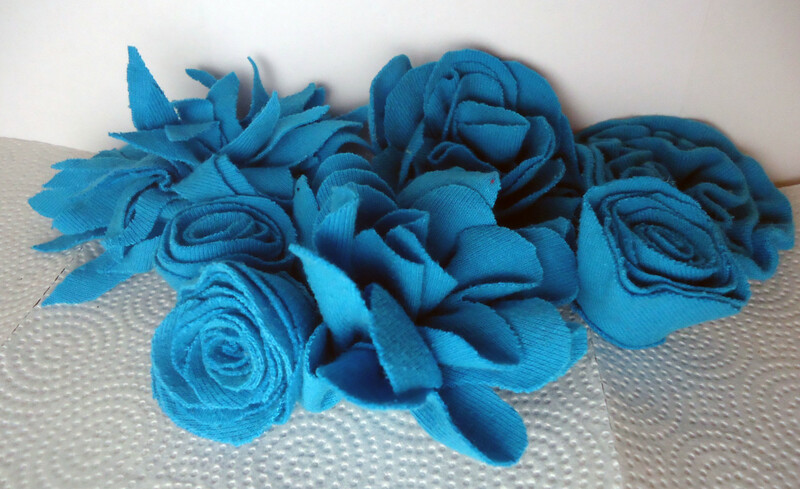 There are so many different things you can do :) Also, if you want to make one or a few of these to embellish another t-shirt with, you could use a needle and thread to sew the rolled flower together (by sewing as you roll) and then attach it to the shirt with the remaining thread. That way you can run it through the washer with no problem. Finished! Just FYI- This one is large- measuring almost 5" across... the strip I used was a little over 1.5 inches wide. You can change the look of the flowers by shaping one edge of the strip before you make your stitch. For example, if you do it with just the plain strip, it will come out looking similar to a carnation. If you cut scallops along the edge of a strip, the finished flower will look more like a rose. old Halloween costumes, old wedding dresses, etc. old plastic tarps, plastic coverings etc..
A strip of anything that will hold a stitch will work! Thank you for dropping by to learn how to make pretty fabric flowers from old t-shirts. I hope you found the tutorial useful for you! breathing-Thank you for all of your wonderful comments. You are very kind. What a post on the effective usage of old t-shirts! Simply brilliant!! Most of us either use the old t-shirts for cleaning our households or give it away to our relatives. But the author has shown an effective use which will ultimately benefit us. 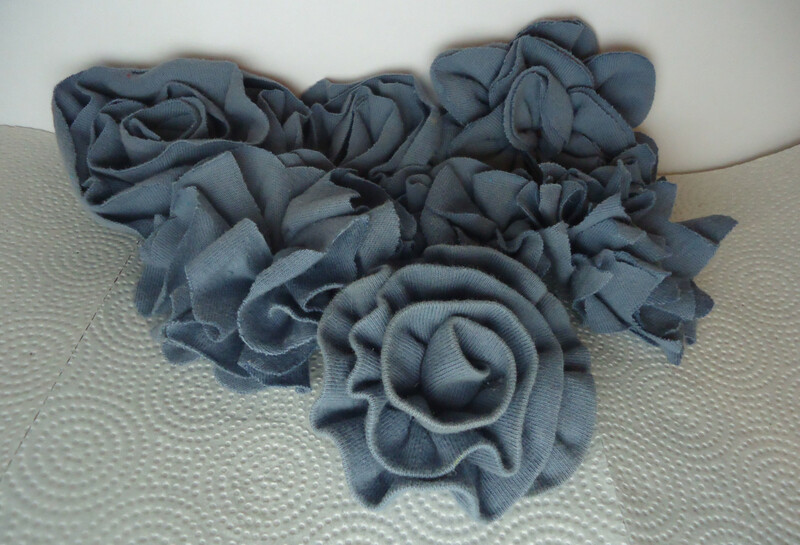 Also the fabric flowers shown in the hub can be a great resource of income! Yeah, it is true. 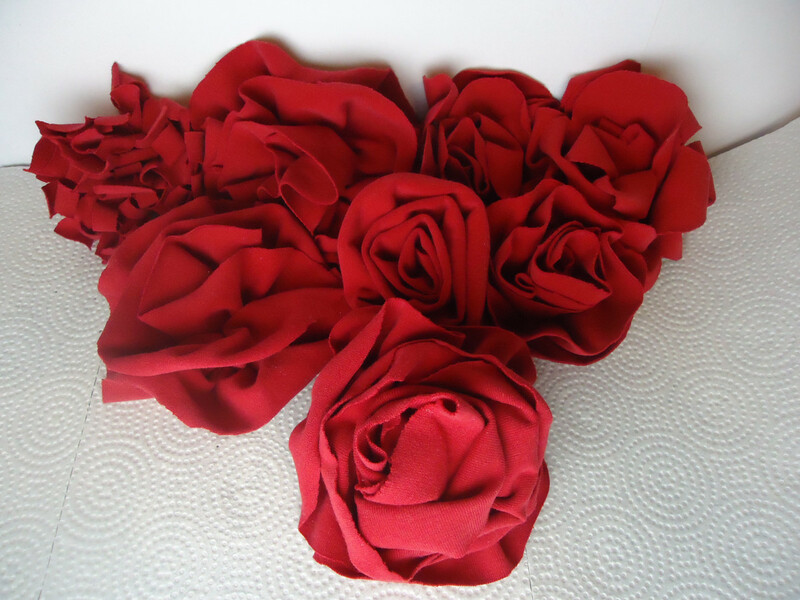 I’m quite sure that people will love these fabric flowers greatly. This is also a great way of utilizing your leisure time. In any sense, the post has launched various dimensions that we can think of in today’s monotonous life. Fabric1869- You are welcome! Thank you for dropping by. tlpoague- You are welcome.. glad you enjoyed the hub! ologsinquito- Thank you so much! So glad you enjoyed the hub! RTalloni- Aww... thank you so much! I really appreciate that. Sorry I've been missing for a while... have so much going on but I do plan to be back and writing some day, hopefully soon. I hope you are doing well and thank you for your kind comment!! What a simple idea to do. I will have to try this out on my t-shirt necklaces I have been making. Thanks for sharing these easy steps. Thanks for the really cool idea. I absolutely love using old clothing to make craft projects with. 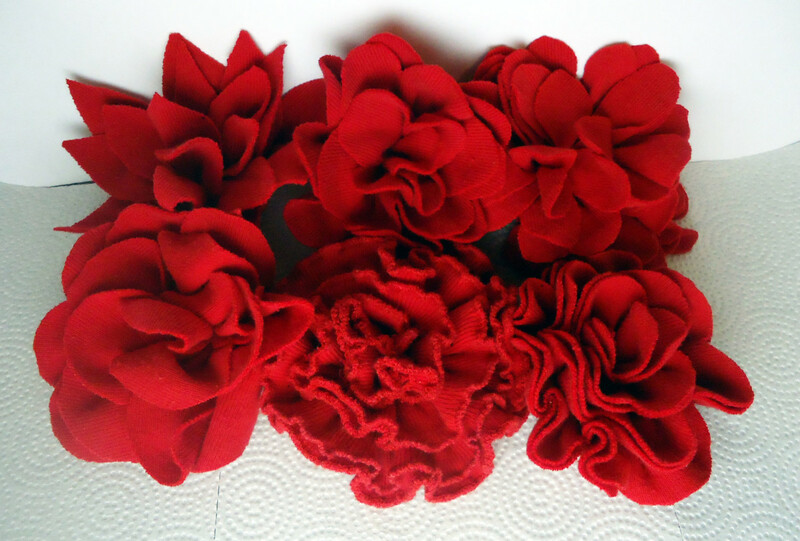 I am excited to start adding these flowers to some of my creations. These are really pretty and a good way to reuse old fabric. I'm pinning this to my Things You Really Need to Know board. 1) Am on Pinterest now and pinning this to my Sew and No Sew: Handbags/... board. I learned how to make these when I got married and loved it! This is such a great idea, and you've explained it well! I am obsessed with making things from old t-shirts now after completing my most recent hub (about making a scarf from old t-shirts). This looks like a fun and easy project. Thanks for the idea! Pinning. Wow, Vinaya! What a super nice compliment... thank you! Creativity is my passion... I would be lost if I couldn't do my crafts. I hope all is going well for you and thank you so much for dropping by! Your DIY hubs are awesome. Though I will never be able to do what you teach, I'm sure many creative genius will benefit for your hub. That Grrl- I'm glad you enjoyed this... I am obsessed with making flowers especially ones made from old shirts and other materials. I too love that these can be made using thread and can just be thrown in the washer to be cleaned. Hope you get around to making some after all the Christmas hustle and bustle dies down. I really love these. It helps that you used red, my favourite colour. This is something I want to do after Christmas winds down. I really like making something beautiful that you can also throw in the laundry to clean. Practical and pretty. That's awesome, you are so crafty! What a simple way to turn a T-Shirt in to a designer piece! I can't wait to try it! teaches- It was hard to get a decent pic of the black ones..I must have done OK. Glad you like them! 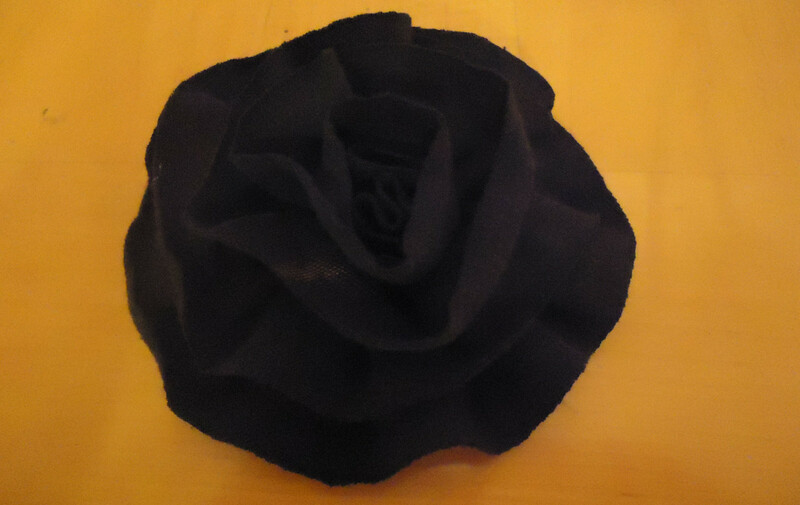 I know what you mean, black usually isn't the preferred color for a rose but they do look nice made with t-shirt fabrics. Thank you for stopping by! The black rose looks so striking and I'm not one who usually likes that color in a rose! 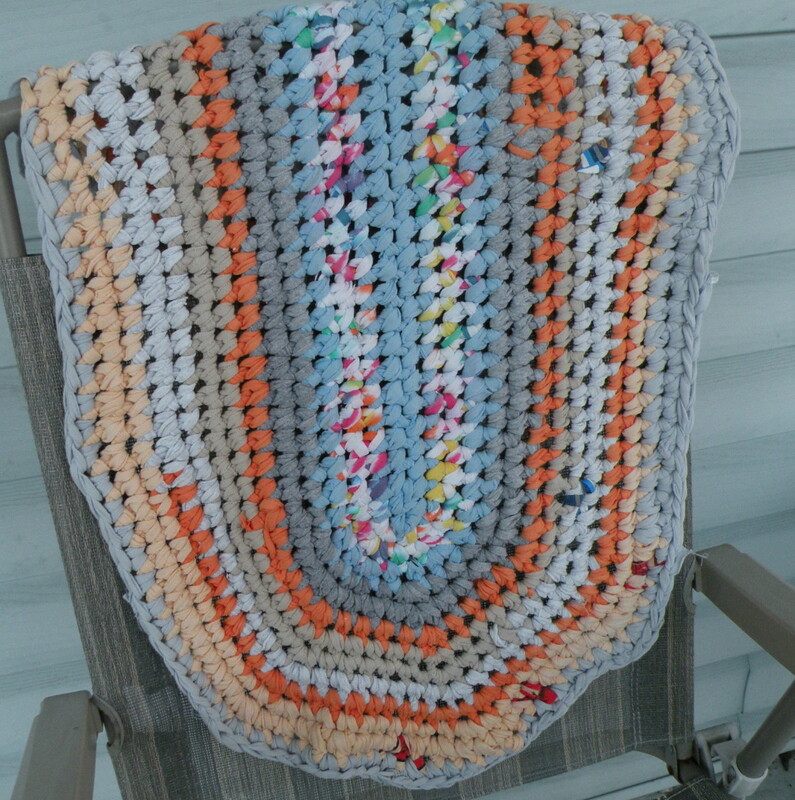 This a great way to recyle old T's and it will make very nice updates to any sweater or blouse. ElleBee- Thank you, I hope you do! They are so easy and fun. Thanks for dropping by! This is so neat! We have plenty of old Tshirts and stuff around. The kids will love this! I love this I am not really a "crafty-type of person," at least in the Martha Stewart sense but this I am going to try...the results are lovely and what a cool way to recycle. Thanks noted up and interesting. These are really cool! You make it appear so easy. I will definitely be trying this out. Wow - what a creative and fun idea! And the flowers look beautiful. Voting this one up and sharing! Thank you Jamie! Another interesting and useful hub! Suzie HQ- Wow, thank you so much for the super nice comment!! I love that this hub has inspired you... definitely give these a try.. they are so much fun but beware- you may become hooked! I have a couple plastic bags full right now LOL.. and I'm raring to make more! Thank you so very much for the votes up, for sharing and for the pin. I really do appreciate that! alissaroberts- Wow.. thank you bunches for the votes up and pin :) I'm so glad you found this useful! Nell- Thank you :) I did put a little extra time in on this one..glad you enjoyed it! Also, thank you bunches for the vote up! lemonkerdz- You are welcome.. I am glad you enjoyed it :) Funny you mentioned the winter hat, I am actually planning on purchasing a few winter hats and pinning flowers on them to give away as Christmas gifts this year! ChitrangadaSharan- Wow.. thank you for the vote up and for pinning... so glad you enjoyed the hub! Rose- Thank you :) It is so much fun... I have a couple large bags full of these flowers now LOL! Thank you for the compliment on the photos... Most the time the lightening isn't sufficient and I can't really tweak them enough with photo editing software. Adding some fluorescent lighting and taking them on a white background helped tremendously. Thank you bunches for dropping by! pstraubie48- You are welcome.. and thank you for the pin :) I love the flower embellished t-shirts that are so popular now... I have always wanted to buy 2 of the same shirt and make flowers from one to attach to the other... I may do it yet! Thank you bunches for dropping by! Awesome, voted up & pinning. I love anything fabric and these are too cute! Thanks. Another epic idea, so inventive in your usually classy way! Loved your rosette hub too and this is such a great way of using t-shirts and other fabrics that can "take a stitch" - awesome, definitely giving this a go. Your presentation and layout is superb, so creative and engaging. Love these flowers! I have started getting into making lil girl headbands so I am definitely going to have to try this out. Thanks for the great directions - voted up, useful, and pinning! Thanks for the hub, I enjoyed it. 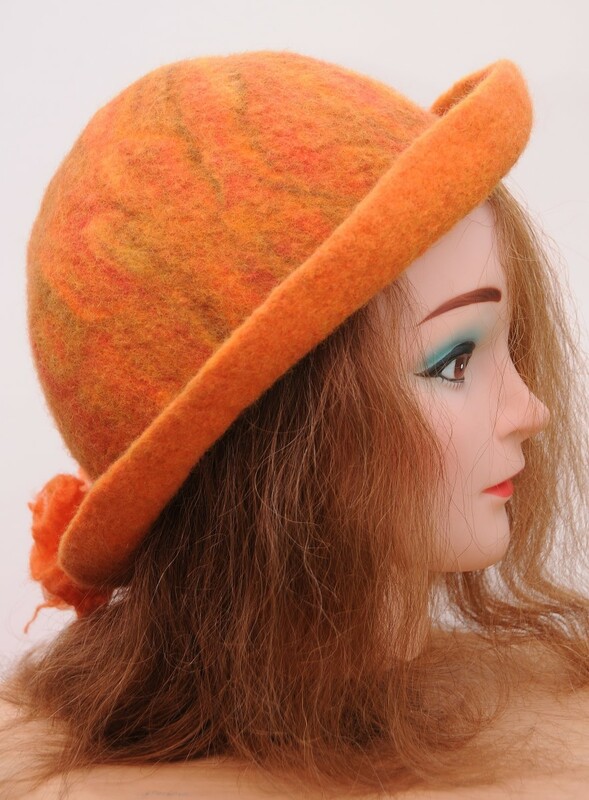 These are great for making a plain winter hats look really cool! cheers. That's so creative and useful. Very well explained and illustrated. I am definitely going to try it. Thanks for sharing. Voted up and pinning. Great photos here! This is such a fun project, and there are so many possibilities for these little flowers. Those are awesome flowers...I might have to go get me a glue gun! Thanks for sharing! kashmir56- Thank you kindly :) As always.. I appreciate you stopping by! Helena Ricketts- You are welcome... glad you enjoyed the hub :) Thanks for dropping by! Great hub and idea to make these flowers and very well explained step by step ! Well done ! These are so cute. I love looking at ways to reuse clothing items....I confess that I Pin more than I actually attempt lol. Great tutorial and love the section dividers. Jamie, you are a genius! This is a great idea and I am sending it to my nieces immediately. Thanks! What a fantastic idea! I love recycling things so this is right up my alley. I'll have to try it, thanks for posting this. My2GreenBeans- Wow, thank you! It's funny you mentioned the thrift store.. After I had used up all my old t-shirts, I was tempted to go to the thrift store to buy a few more just for this project! 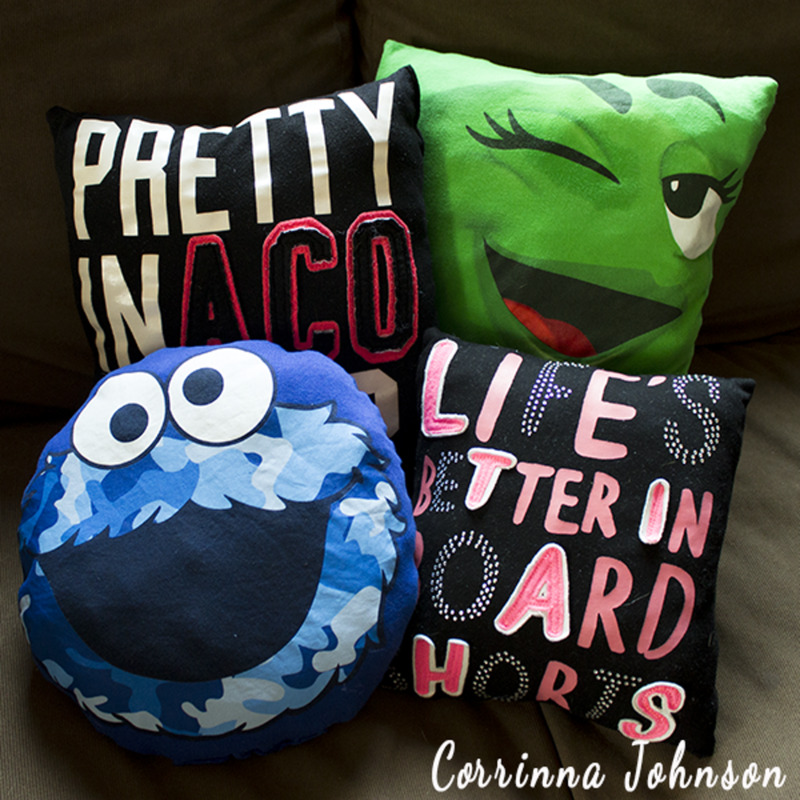 Diana Lee- Thank you for the vote up :) I agree.. so much better than ripping them up to use for rags! carol- Aww.. thanks :) Recycled type crafts are my favorite ones to do. Thank you so much for the vote up and for sharing!! donnah75- Thank you! I'm glad you found this useful.. and thank you for the vote up! What! This is seriously awesome thanks! 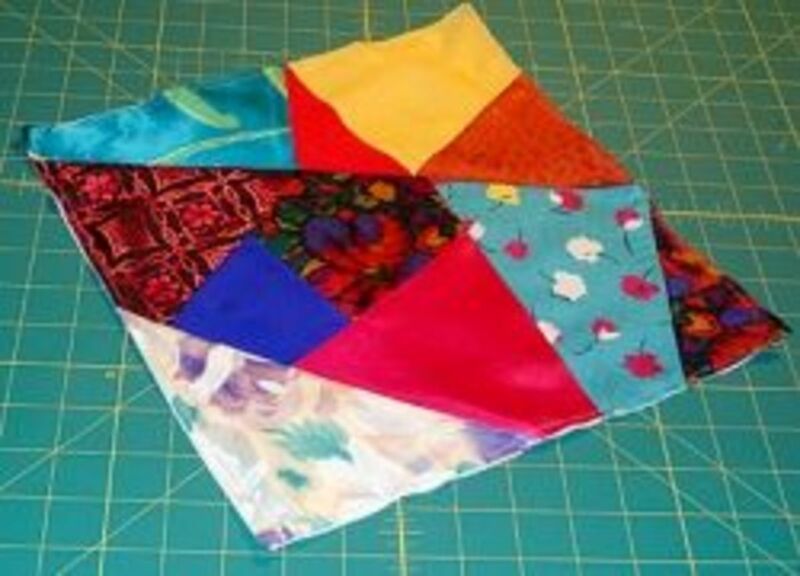 Also a good way to use up small scraps of fabric from sewing projects! Or that you find in the thrift store... avid thrift store hunter that I am! Crazy cool project! They turn out so pretty, and your instructions are brilliantly explained and pictured. I can't wait to give this a go. 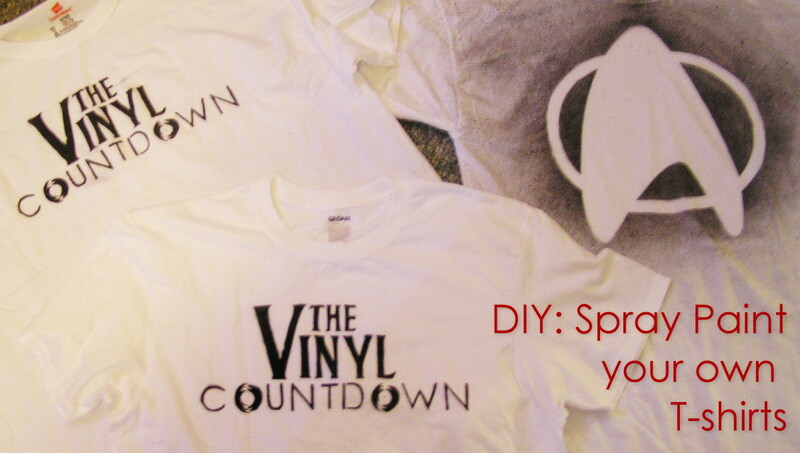 Reclaim old t-shirts and make something pretty from them, what a good idea. It sure beats using them for a cleaning rag. Voted up. Interesting concept-I would never have thought of that! Great descriptions and pictures to go with it! Great idea, very pretty and imaginative. You are so imaginative and creative. What a fun idea. I love when you can recycle something that you may have thrown out into something really beautiful..Great Hub..Voting up and sharing. What a great idea. The step by step photos are really helpful. Voted up! What a clever idea to turn old clothing into something so decorative. I was thinking of my husband's old cotton undershirts. They could be dyed any color desired prior to using in such a manner. Will be passing this idea on to others I know who do a lot of sewing for charity purposes. They just might want to add this to what they are already doing. Up votes and sharing!